Vote for Your Favorites in the 2016 Hubbie Awards! The polls are officially open for the 6th Annual HubPages Hubbie Awards! You have two weeks to submit your vote, so take your time and consider your choices carefully. No rush! 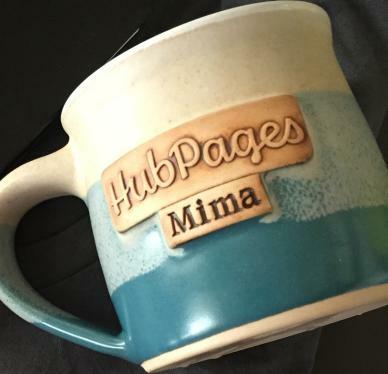 Winners in each category will receive an official HubPages mug with the logo of the Network Site he or she has won the award for. For example, the Hubber who wins Best Hub on Exemplore will receive a mug with the Exemplore logo. Hubbers who win Best All-Around Hub, Best All-Around Hubber, and Most Helpful Hubber will have the option to choose which logo they would like on their mug. If a Hubber wins more than one category, he or she will receive a mug for each category won (though we do love to see as many deserving Hubbers win as possible, so please do your best to diversify your votes). Before you cast your vote, there are a few ground rules to keep in mind. Each Hubber may only vote once, so make sure you’ve got your list of nominations ready to go. Votes submitted after Monday, September 5th at midnight will not be counted. If you don’t have a Hubber or article to nominate for every single category, it’s ok to leave spaces blank. If you’re ready to cast your vote now, proceed to the Official 2016 Hubbie Voting Form. Remember, you can only vote once so take your time figuring out which articles and Hubbers you’d like to nominate. Happy voting! Christy, hello. I was happy to see the Hubbie Awards announcement today. I want to make some observations about what you have developed here. First of all I want to say thank you for doing away with several of the awards that really didn’t pertain to writing. What you have put forth is much better. Having said that, I am concerned that what is now proposed is aimed mostly at individual hubs and not the writers themselves. Yes, the hub is an extension of the writer, but It would be nice to be able to single out a writer on a particular vertical site and name them as best hubber on that site. This would be in addition to best hub. One writer might stand out for the quality and number of hubs, but another might be recognized for one specific hub. Those two examples are what I mean by Best Hubber of a site (the one with many quality hubs) and Best Hub (one particularly good hub). I’m not suggesting things be changed for this year, but maybe you could consider something like this next year. Thanks for listening to my concern. You always have been helpful when I have contacted the staff. Thank you for your thoughtful comment. I will keep your suggestions in mind for next year. I agree that we definitely want to carry on the spirit of honoring writers as well as their articles. Well, how in the heck can we vote on someone on the new sites without reading all of them? Did you guys really think this thing out before you created the new categories? Fat chance this comment will be approved….but damn!! Many Hubbers enjoy reading each others’ work and have checked out the sites to see what kind of content is there, and in some cases, what content their own articles are appearing beside. I see lesser awards this time. Only one award for each site. Is it true? Yes, one per site, but we have maintained the same number of awards as previous years. It’s not to late to save the Hubbie Awards, guys. You know you messed up, why do more damage by disheartening the hubbers who once looked forward this contest. Oh, I get it! You don’t want to fool with the Hubbie Awards anymore. You guys are slicker than owl $#it.